As there has been a surge in terror attacks in the Valley recently, the security agencies have put in the "highest level of the security measures" and deployed thousands of security personnel along the routes. The annual pilgrimage faces a terror threat, according to intelligence inputs. 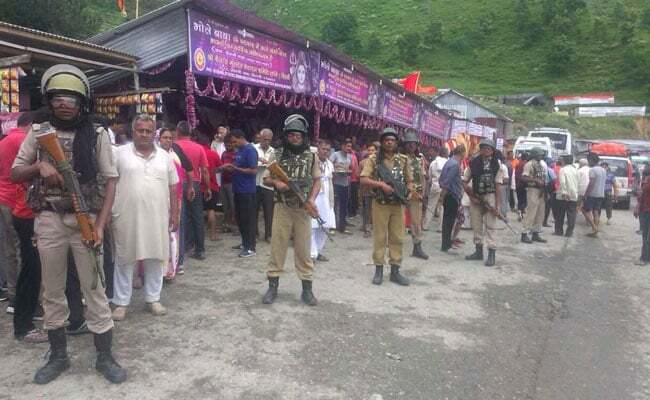 Jammu: Drones, satellite tracking systems, jammers and bullet-proof bunkers, dog squads and CCTV cameras will ensure safety of the Amarnath Yatra pilgrims this year. The annual pilgrimage, which is facing a terror threat according to intelligence inputs, was officially flagged off from Jammu today. The 40-day Amarnath pilgrimage began with the first batch of 2,280 pilgrims, who will reach Lord Shiva's cave through the shorter Baltal route and the traditional Pahalgam route which is 45-kilometre longer. The 72-vehicle convoy left Bhagwati Nagar Yatri Niwas in Jummu around 5.30 am amid chants of "Jai Bholay Nath" and "Bum Bum Bholay". This year, the yatra will be eight days shorter than last year's and will conclude on August 7. A heavy security blanket of 35,000 to 40,000 troops will guard the highway. SN Shrivastava, special director general, CRPF, said the annual yatra was a "big challenge" and will have the highest-ever security setup to ensure an incident-free yatra. "In view of the intelligence inputs, we have made adequate security arrangements for the safety of the yatris (pilgrims)," he said. A heavy security blanket of over 35,000 to 40,000 troops comprising special Quick Action Teams, the police, Army, BSF and CRPF will guard the highway. Closed circuit cameras are installed along the highway and at sensitive locations on the Yatra route. The 40-day Amarnath pilgrimage began with the first batch of 2,280 pilgrims. 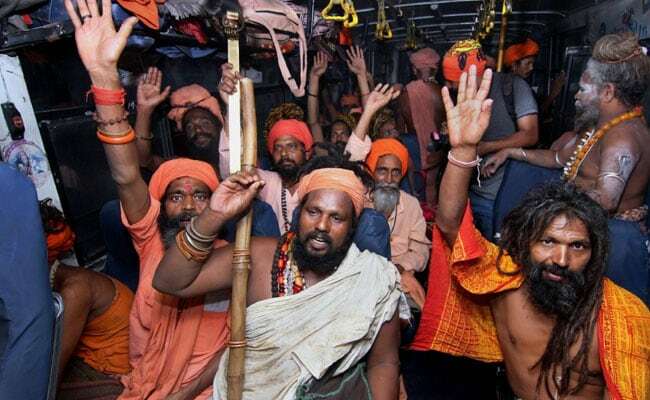 "We are not scared of anything, it is a call for us to do the Yatra and we go without any fear," said Varinder, a pilgrim. A 10-bed hospital at Nunwan and 20-bed hospital at Chandanwari have been established for any medical exigencies. Oxygen cylinders, ECG machines, defibrillators, oxygen concentrators, CPR machines, X-ray machines, ventilators, resuscitation sets have been installed and life-saving medicines will be available at the hospital, an official spokesman said.